Tian is a Michelin-star awarded vegetarian restaurant in Vienna and when Mr A told me to meet him at Stephansplatz at 5.45 pm on my birthday I kept my fingers crossed that he was going to take me to Tian again. 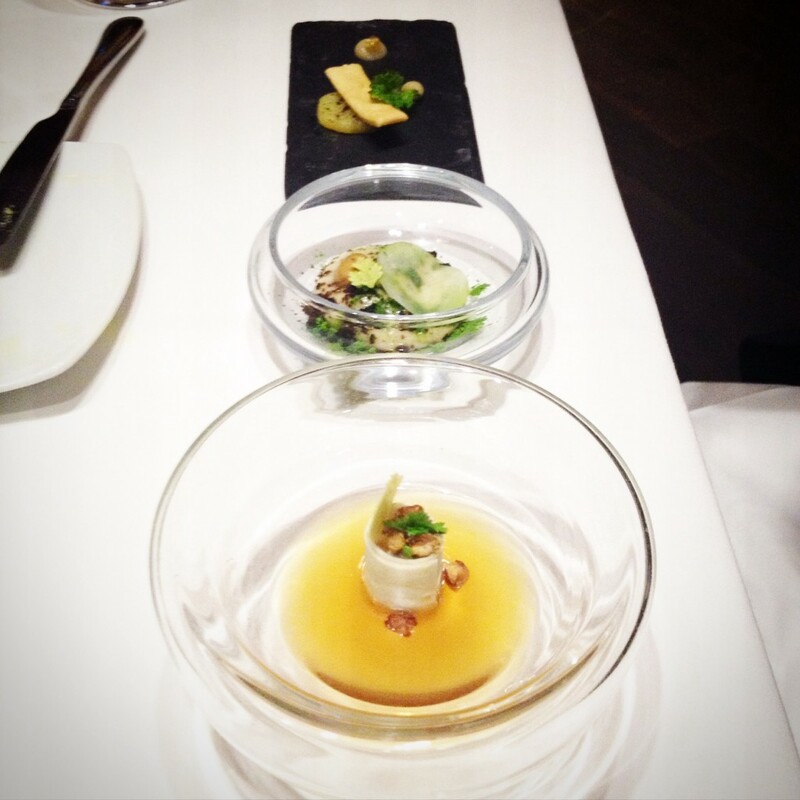 Offering two vegetarian menus, we took a 5-course meal of the vegan courses available (the main course was prepared especially for us) and received exactly what we expected: a whole new food experience. At first sight, the price of EUR 89 per person not including drinks may look be steep. The quality of what is served and the multiple dimensions of flavor put this into perspective though. Also the awesome service personnel, each waiter or waitress talking excitedly about whatever they are serving, meticulously explaining every last crumb on your plate and always (always!) having an answer to my numerous questions regarding this spices or that grain (last time I familiarised myself with vadouvan, this time it was emmer). This, and three culinary offerings from the kitchen plus ciabatta bread with mashed avocado and three different kinds of oil (olive oil from Croatia and Italy and flax seed oil). You can have a look at the whole menu HERE. 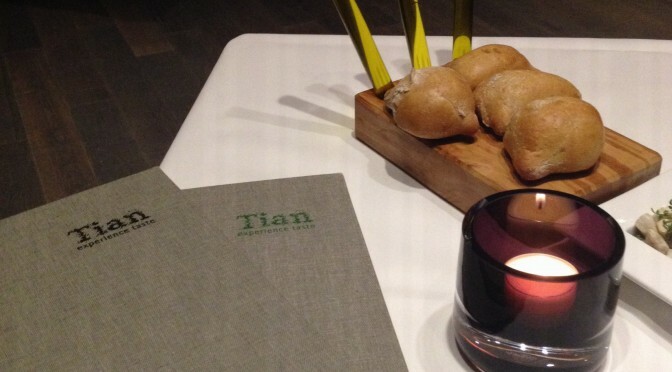 We had a fantastic dinner at Tian, eating and drinking for three whole hours, delighted by whatever was put in front of us – the look, the smell and most of all the taste of each dish was unique, unusual and perfectly complementing what we’d had before. As usual I was tremendously excited about every little thing on our plates and had planned on photographing it all. 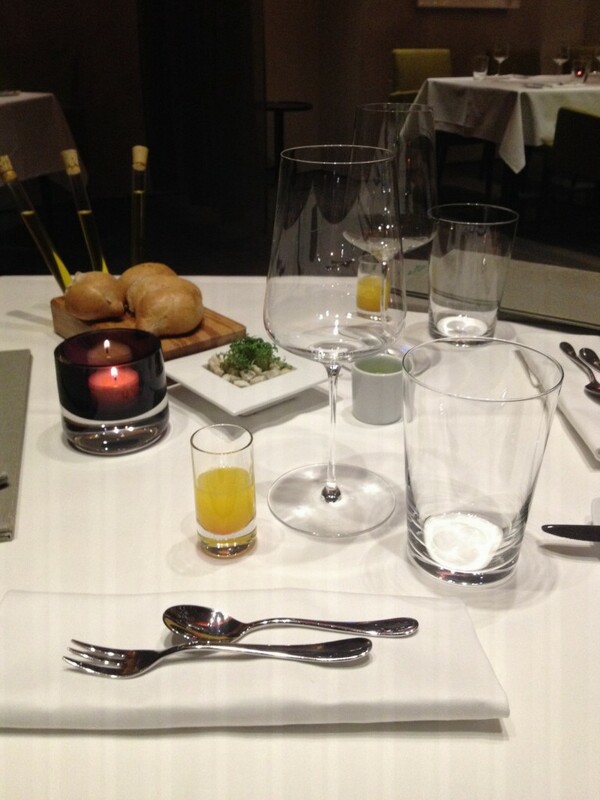 However, when we had finished our amuse gueules I decided that this evening was for us and us only and put my camera away. 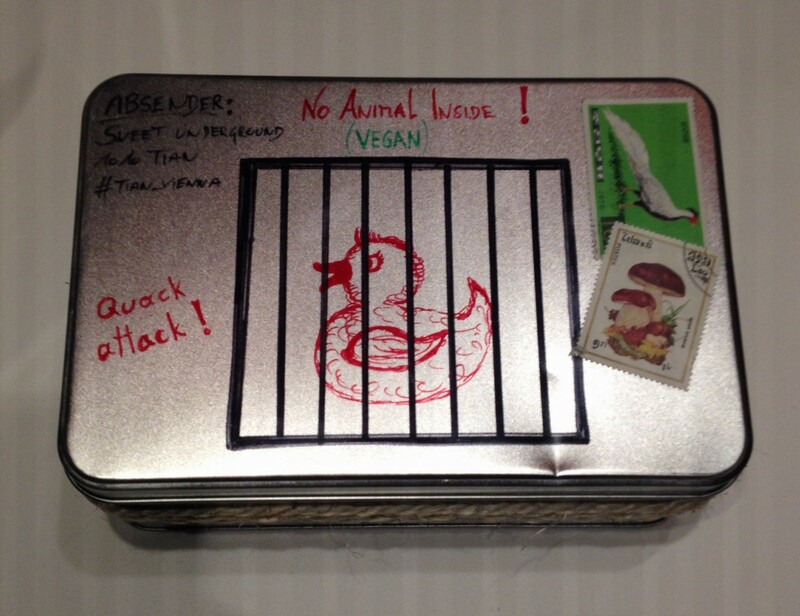 The only thing I couldn’t resist photographing was the cutest box they served the parting gift from the kitchen in. Have you ever been to Tian? How would you rate your experience? What a beautiful presentation of the food ^.^ It sure looks lovely.